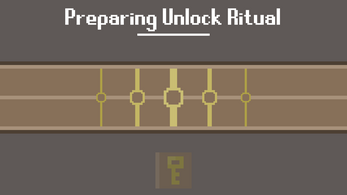 You've been enrolled in the Ritual Academy. 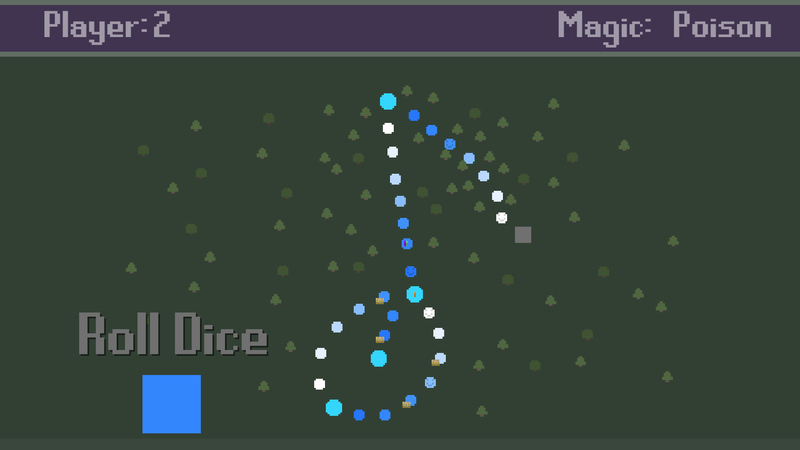 This is the place where you can learn about how magic works. The head of the school wants to make sure that the students are very serious about their studies and has them embark on a journey after the opening ceremony. The Head of the school has urged for new students to venture out with a few other classmates. This gives the students the chance to learn from how each other approaches arranging and casting Rituals. 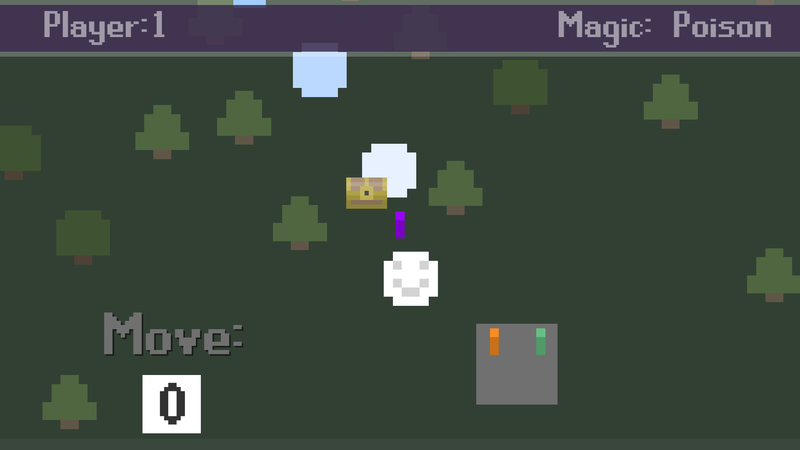 The objective of this game is to be the first one to the end. 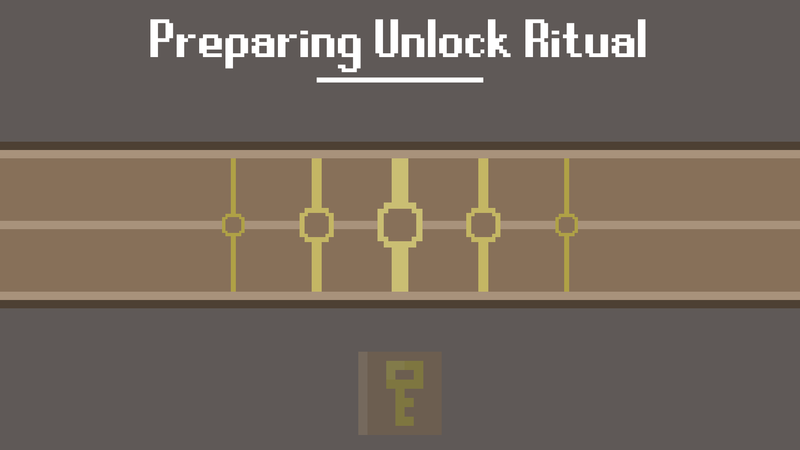 Whoever gets to the end first will have their Ritual (Song) performed (played) at the beginning of the game. The ultimate bragging right! 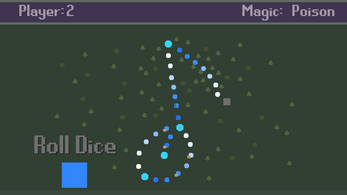 When it is your turn you can either click onto the dice block to roll, or use space bar. There are a few different spots you can land on. 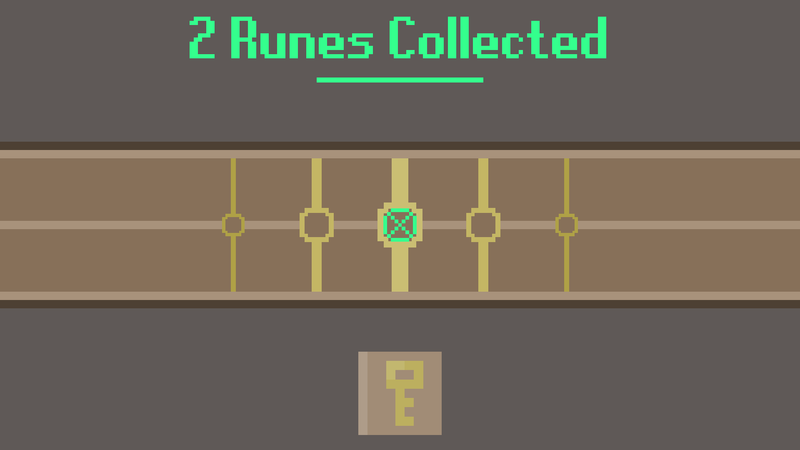 When you first go into Ritual mode, you'll see the Runes you've collected drop. Drag your drop your Runes into the empty circles (If you let go close enough, they will snap into place). 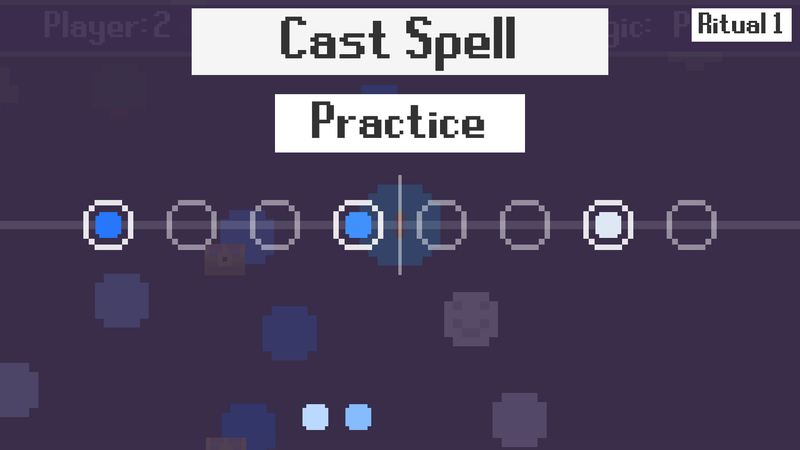 You can practice your Ritual by clicking on the Practice Button. 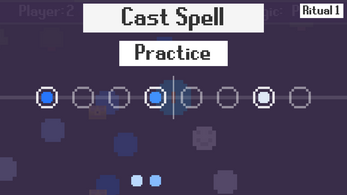 Once you've pressed the Cast Spell Button, it will perform your arrangement and transition into the next players turn. When landing on the Chest spot, it prompts the Mini-Game. 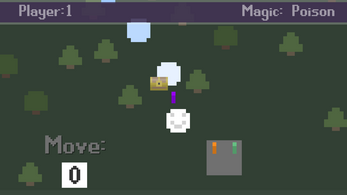 Click (or Space Bar) on the spell book when you see the Rune fly across the screen. You want it to get closest to the center. 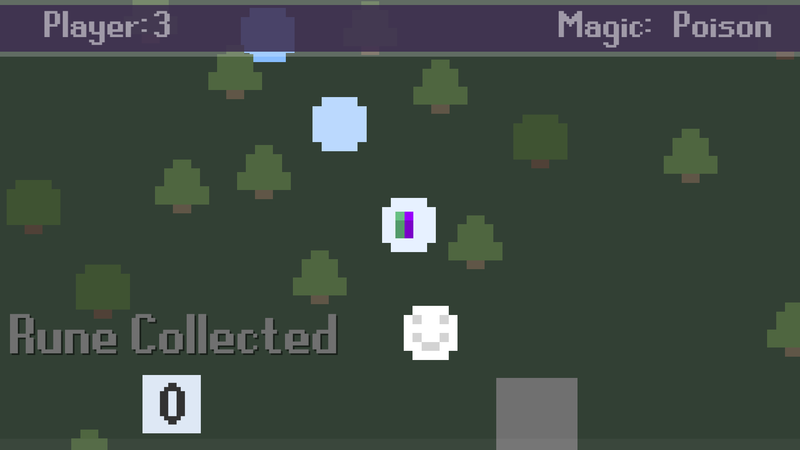 This will cast your Ritual Magic to unlock the Chest you are trying to loot. Please Note: You'll still receive your base rune for landing on a spot. When the game loads up you'll be able to select how many mages (Players), and what element for this play-through. Elements: This is the type of sound that is played during the game. 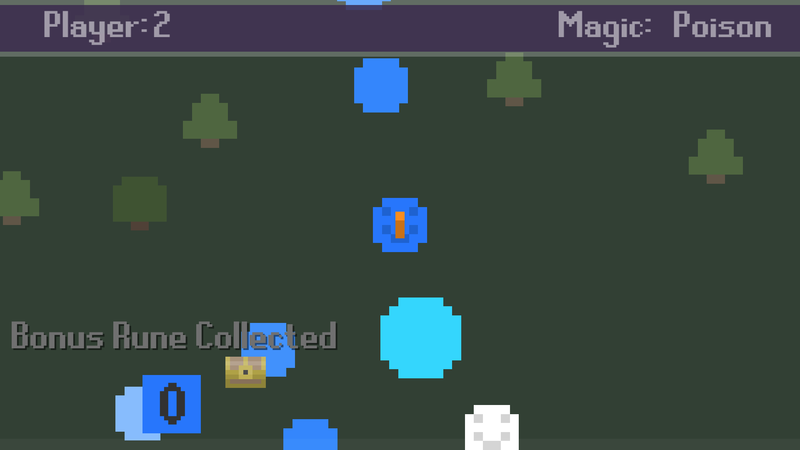 Mages: This is the number of players. 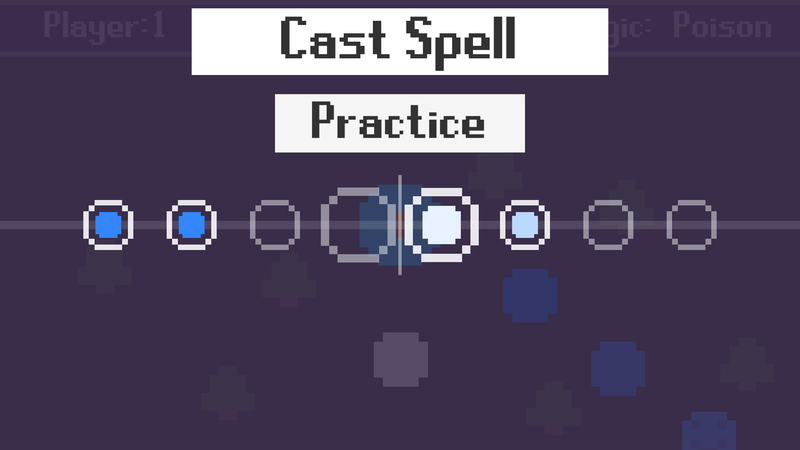 Please note: The game does not support multiple inputs, so you would just take turns with the people around your computer.